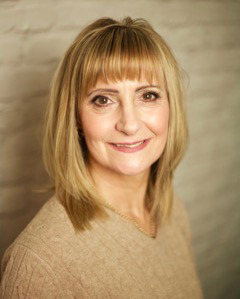 Hello and a warm welcome to Breath of Change, run by Belinda Dimmock (Ad Dip PC MNCS Dip Hyp CS NHS), a Surrey-based hypnotherapist and counsellor, who works with clients in Banstead and the wider regions. Her clinics are based in nearby Epsom and Crawley. If you’ve found your way to this website, you may be struggling with an issue that feels overwhelming or out of control, and may be one that Belinda can help you with. As a kind, professional and welcoming therapist, Belinda provides a completely confidential service, where she will offer you the attention and care you deserve, however big or small your concerns. No matter how distressing or embarrassing you feel your issue is, rest assured that private, non-judgemental and professional help is at hand. Whether they are emotional, physical or psychological issues, Belinda will help you find solutions to bring regulation back into your life and so you can move forwards into the future in a more positive and confident way, where you feel more in control of your thoughts, feelings and actions. During her work, Belinda uses different theories and models and over the years she has honed her approach, which informs her work. With 40 years of work experience, she also uses her personal experiences to compliment her work, including work within the NHS and Social Services and as a fitness trainer, complementary health therapist and yoga teacher. Find out how she can help you today by calling 020 8873 2843 or 07973 410 375. I live in Banstead and I’m thinking about hypnotherapy. How could it help me? Hypnosis is a natural state of mind, brought about by a certain set of techniques. This therapy is endorsed by both British and American Medical Associations and it has a wide range of applications. Hypnotherapy uses the power of positive suggestion and imagery to influence a positive change in our behaviour and the way we respond to our emotions, thoughts and feelings. It’s a very safe and powerful technique that creates a deeply relaxed state of mind and body, enabling direct access to the subconscious mind where unwanted behaviours and attitudes can be changed. We can work together to focus on positive and beneficial changes that you want to make in your life. Some people mistakenly believe you are asleep during hypnosis, but this is not the case and there is no need to worry. During hypnosis you are in full control at all times and you can leave the state whenever you wish. Belinda will help you move forwards in your life, she will help you feel both positive and more empowered. Belinda provides grief counselling for individuals in Banstead and throughout the Surrey region. This service specialises in supporting you through losing a loved one or other big life changes, that can trigger feelings of grief. Big life events, like that of losing a loved one (this may even be a much loved pet), or even going through a divorce, or a relationship break-up, all of which can leave you feeling overwhelmed and struggling to cope with day-to-day life. You can feel a wide range of emotions, including anger, anxiety, guilt, loneliness and isolation. Belinda draws on a number of therapeutic techniques to create a counselling programme, to help you unravel the feelings you are experiencing. From here you will move forwards taking the next steps along the path on your journey in life. To talk to our hypnotherapist and counsellor near Banstead, call us now! For a confidential chat with Belinda, please call 020 8873 2843 or 07973 410 375, email belinda@breathofchange.org.uk or pop your details onto an online enquiry form and she will get back to you as soon as she can. Belinda looks forward to hearing from you!